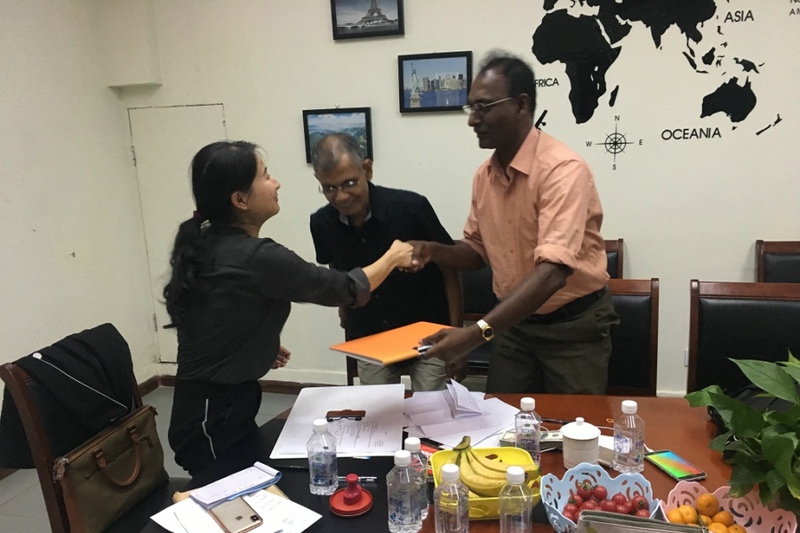 On April 27, 2018, we escorted customers from Sri Lanka to visit our factory and signed a cooperation contract. 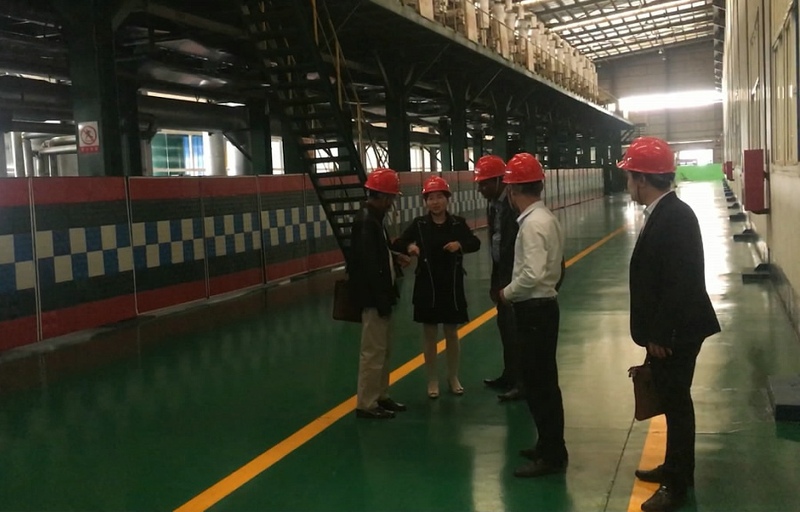 During the visit, Nancy introduced the customer to our galvanized production line, color coating production line, and some of our own patents in the production line. The customer has three factories in Sri Lanka, involving corrugated roofing, plastic bags and other products. After checking the quality of our products, the customer expressed great satisfaction with our quality. They currently needs 914 mm width PPGI, and we recommend that if the customer uses a wider GI/PPGI to produce it, it will reduce the cost. The customers are very much in favor of our proposal and said that they intend to add wider corrugated roof production machines after returning Sri Lanka and even consider becoming our special dealer in Sri Lanka. Sri Lanka is one of our most important markets and we have exported a lot of high quality GI and PPGI to Sri Lanka. Welcome to contact us and we will do our best to provide you with more details about the product, such as product quality, product price and so on.